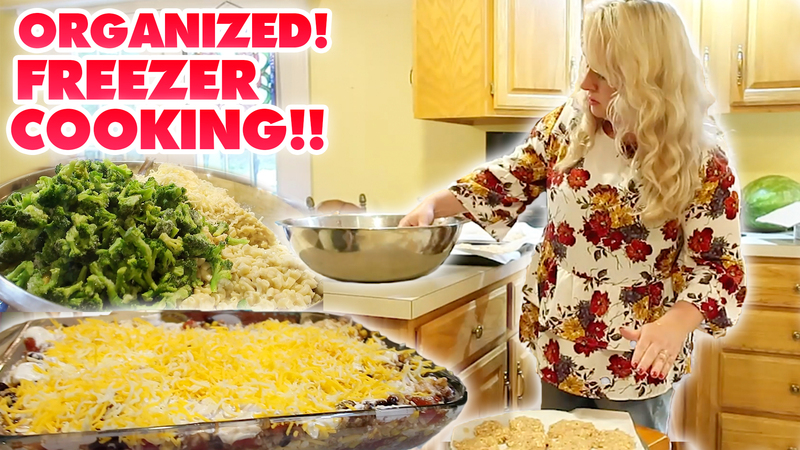 In today’s large family freezer cooking vlog I make 45 organized large family freezer meals in just under 7 hours from my large family freezer meals pack two here. For all of the freezer meal food required, I came in around $348 with Walmart online ordering and pickup. Of course, prices vary depending on location. You can also cut down on cost by using items you already have on hand or find on sale. I made right around 45 freezer meals which I’ll use during tons of *real life times* over the next 4-8 weeks. 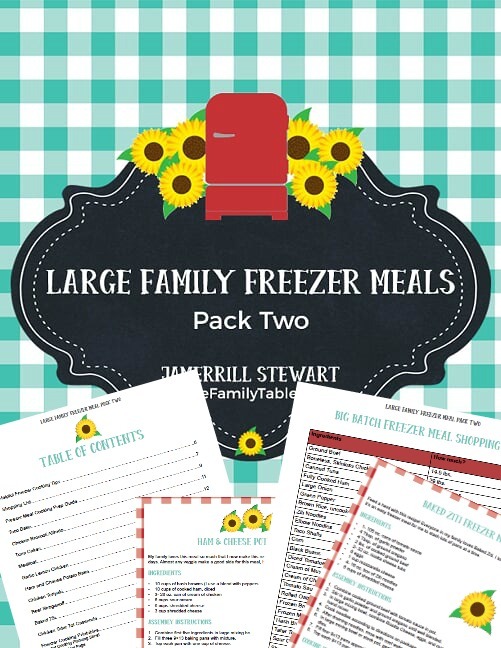 Here’s the list of 45 organized freezer meals I made on this freezer cooking day. The *best part* is by using the directions in my Large Family Freezer Meals Pack Two I was able to make all of these meals (45 total!) in just under 7 hours – woot! Taco Bake Freezer Meal – make 4+ pans of this family favorite! Serve with corn and salad! Baked Ziti Oven Bake – Baked Ziti is a hearty meal that is sure to please. Make 4+ pans for your freezer. 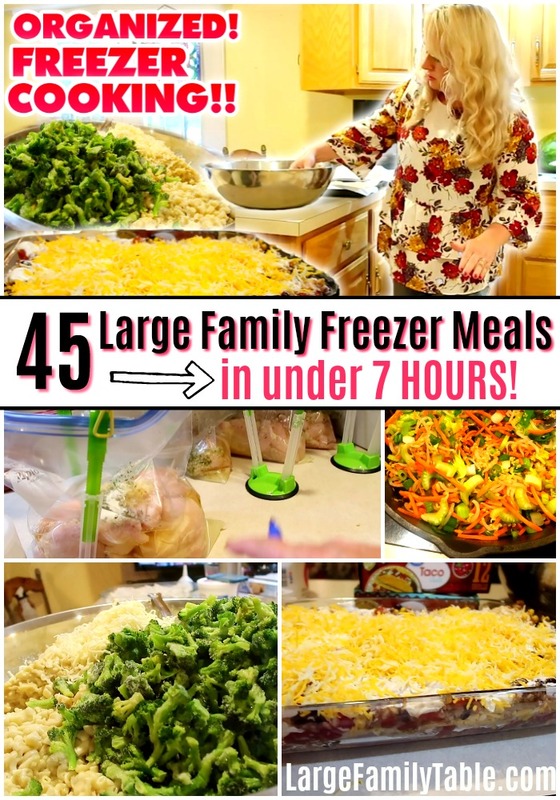 Click here to watch the full 45 ORGANIZED LARGE FAMILY FREEZER MEALS IN 7 HOURS vlog!